These exclamations come from owners of dogs who had never before acted in an aggressive manner. What caused these dogs to act out in such a way? Many things can cause dogs to become reactive, of course, but in these cases, it was a convergence of circumstances—the perfect storm. There are myriad situations and factors that cause dogs stress. A visit to the veterinarian might leave a dog feeling less than playful. Having unfamiliar visitors in the house causes many dogs to feel nervous and out of sorts. Even missing the usual morning exercise routine can leave some pooches keyed up and a bit grumpy. 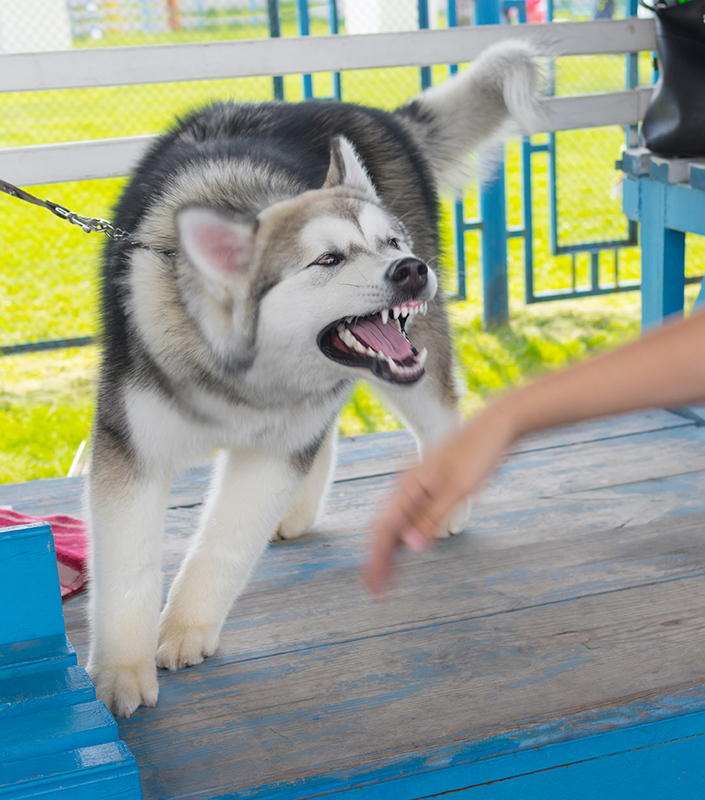 Consider the specific situations where your dog might display low-level aggressive behavior. For example, your dog tends to hover over a bully stick and growl when you come near, although he will not bite. Or, your dog gets a bit territorial toward your other dog while lying on your bed or on the couch, whereas relaxing on his own bed causes no issues. Now imagine a day where a few of those circumstances come together. You have a vet appointment at 9 a.m., so your dog misses his morning exercise. The exam is a bit stressful, so he’s out of sorts when he returns home. His morning meal has been delayed. He eats, and then two hours later, you give your dog a bully stick. A few minutes later, you think, It might be nice for me to add a dab of peanut butter to it; after all, he’s had a rough day. You go to grab for the bully stick, and fast as lightning, teeth close around your hand. Under normal circumstances, your dog would never have bitten, but these weren’t normal circumstances. Another scenario that might involve multiple, low-level, reactivity-provoking scenarios that converge might be a dog not feeling his best, combined with chewing a coveted item in an area where he is more likely to be territorial. 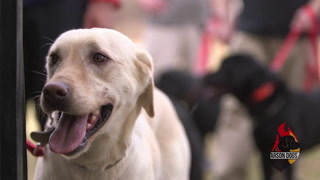 In this type of situation he might go after the other dog in the house, when he normally never would, had all of these factors not been in perfect alignment. Take some time to think about what the key components of the perfect storm might be for your dog, so you can avoid one. And the next time an incident occurs where you’d never have expected that type of aggressive behavior, think about whether it might be the result of a perfect storm. If it was, it will help for you to better understand why it happened, and not to suddenly regard your trusted fur kid as unpredictable or having turned into an aggressive dog. 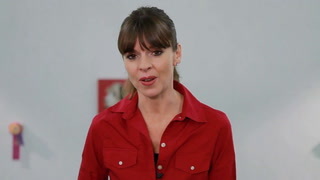 Nicole Wilde is the author of ten books and lectures worldwide on canine behavior. 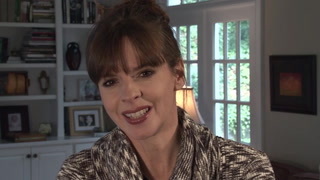 She is a columnist for Modern Dog magazine, and blogs for Positively, the Huffington Post, and her own blog, Wilde About Dogs. 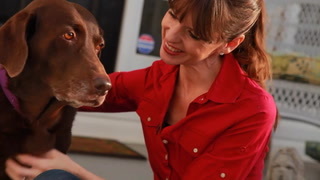 Nicole runs Gentle Guidance Dog Training in southern California.